Deep-sea octopus has the longest-known brooding period known for any animal species. PLOS ONE, BRUCE ROBISON“Helicopter parenting” takes on a new meaning with the observation of a deep-sea octopus (Graneledone boreopacifica) who incubated her eggs for 53 months, “the longest egg-brooding period ever reported for any animal species,” according to results published this week (July 30) in PLOS ONE. 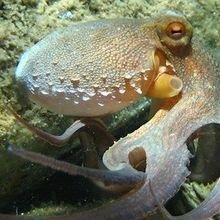 Researchers led by Bruce Robison from Monterey Bay Aquarium Research Institute in California first spotted the octopus guarding her eggs via a remote-operated vehicle (ROV) as it inspected a rocky outcrop in the Monterey Submarine Canyon off the coast of central California in May 2007. 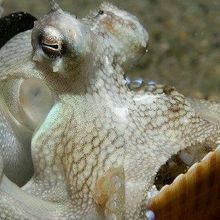 Octopuses typically breed once in their lifetime, tend their eggs until the brood hatches, and die soon after reproduction. They are not known to feed or hunt during the incubation. The process typically takes one to three months in shallow-water species, but very little is known about the breeding habits of deep-sea octopuses. 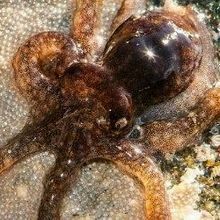 The previous record holder for the longest gestation period—14 months, observed in a laboratory—was another octopus species, Bathypolypus arcticus. The researchers returned the ROV to the site 18 times over the four-and-a-half years that followed; each time, the same Graneledone—identifiable by her scars—was seen clinging to the rock face, arms curled to protect her growing eggs. Although the mother’s mantle was initially a pale purple, she turned almost white while brooding. The ROV also spotted signs of aging: cloudy eyes, slack skin, and a loss of pigmentation and mantle firmness. The brooding octopus ignored crab meat offered to her on the ROV’s arm. 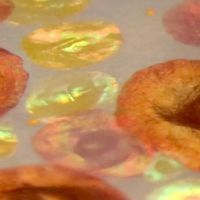 “It's not impossible that she fed at some point during her brood, but it's not characteristic of any known octopus species to do so, and we have never observed unattended octopus eggs,” Robison told New Scientist. 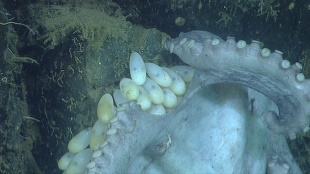 The protective mother was last seen in September 2011; an ROV trip in October only spotted hatched egg capsules—a sign of her brood’s survival, and likely her own demise.